The manufacturer of networking, connectivity and cable products, Belden who work in signal transmission solutions for mission-critical applications, were exhibiting at SPS Drives 2017 with a lot of solutions to showcase to the 70,000 visitors who also attended the show. Electronic Specifier went along to the Belden booth, which was a platform for the latest IIoT innovations and experience the newest products and solutions for industrial communication the company had to offer. But the message that Belden was portraying was of innovation, with new products such as DRAGON PTN switch with MPLS technology, our Li0N-Power I/O modules with embedded Distributed Control Units (DCUs), and our new MachFlex high-flex cable line on show. One element that did also particularly stand out on the Belden booth was the demonstration showing how Time Sensitive Networking (TSN) is enabling a lot of their new technology efficiently. TSN was a very popular subject at the SPS event. 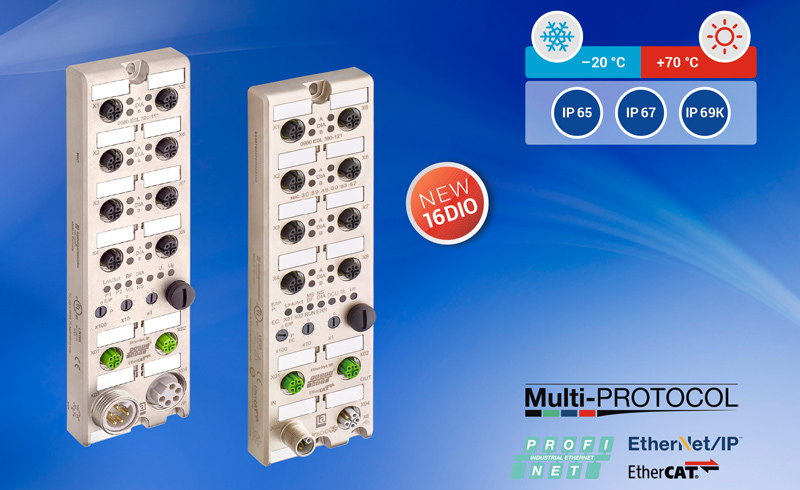 Belden was keen to show off the world’s first I/O modules to support all three standard industrial Ethernet protocols - PROFINET, EtherNet/IP and EtherCAT – in one single device, now as a 16DIO version. The universal device has the ability to be installed into new machines and applications, but additionally can be used when retrofitting is necessary. Whilst on the subject of TSN Belden has also been involved recently with two switch types from the RSPE product family by Hirschmann, which will support Time-Sensitive Networking. Belden has released a software update for the modularly-managed Hirschmann switch types RSPE35 and RSPE37. It was announced at SPS and was made available shortly after the show finished. As a visible sign, all RSPE devices since April 2017 that are TSN compatible have a ‘TSN ready’ logo visible on the front panel. In addition, older switches of both RSPE types can also be upgraded for the new real-time technology. The ‘TSN ready’ logo is not exclusive to the RSPE35 and RSPE37: other Hirschmann industrial Ethernet Switches, such as the OCTOPUS II, MSP Power MICE and the GREYHOUND GRS1040 with fitting capabilities are carrying the logo as well and will be upgraded in the near future. 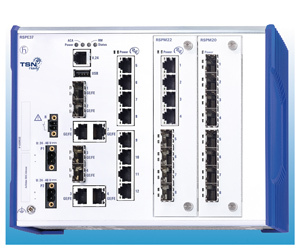 The managed switches of the RSPE product family consist of a basic unit with eight twisted pair and four combo ports, which can be expanded through the various media modules. The RSPE35 and RSPE37 versions support the Precision Time Protocol (PTP) in accordance with IEEE 1588-2008 and feature a FPGA module (Field Programmable Gate Array), which means it's possible to implement selective hardware-based redundancy mechanisms such as HSR (High-availability Seamless Redundancy), PRP (Parallel Redundancy Protocol) and DLR (Device Level Ring) directly in the field. The new software update, which also enables TSN, can now be loaded into the FPGA as an alternative to previous redundancy mechanisms. “This provides users with an additional possibility for responding flexibly to the wide range of requirements and building high-performance industrial IT infrastructures,” according to Dr. Kleineberg. Belden also had news referring to the expanded features and capabilities for its Hirschmann Secure Remote Access Solution, as it is now, a wider range of applications which can benefit from secure access to remote sites and machinery, even without an existing network in place, including both routed and transparent applications. The Secure Remote Access Solution offers instant access for network maintenance or troubleshooting and enables a secure way for many devices to communicate. At the core of the Secure Remote Access Solution is a cloud service to which customers can connect their remote network devices, including the ability to manage the network from personal computers (PCs) or mobile devices. As IoT was also a huge topic at the SPS Drives show, Belden also announced the expansion and enhancements it had made to the Lumberg Automation LioN-power family streamlines path to Fieldbus-independent and one-device automation. This is to help industrial manufacturers address exploding Industrial Internet of Things (IIoT) connectivity needs through simplified device automation. The updates and additions bring added flexibility through universal digital I/O modules, as well as holistic solutions through new IO-Link system devices. Finally Belden released the latest version of its Hirschmann network management software, Industrial HiVision 7.1, whichimproves functionality with the addition of new features for PoE detection and management, as well as added support for configuring emerging technologies like TSN. 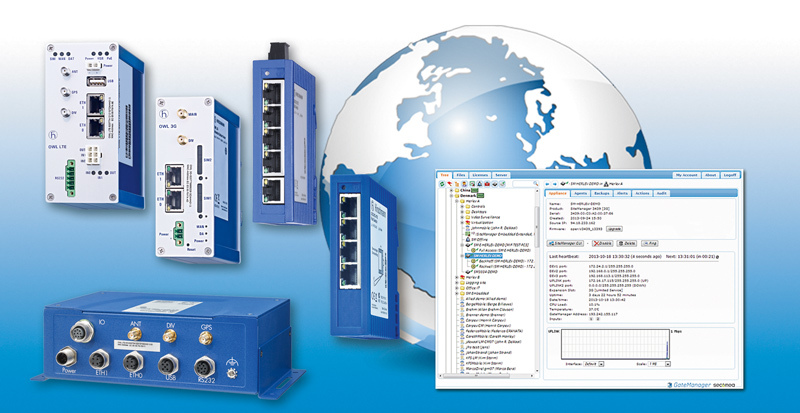 Optimise the use of available power with the Power over Ethernet (PoE) Wizard. The IIoT is driving smaller and smaller devices typically powered by PoE. As a result, fewer switches are required to meet needs, and less energy is wasted, leading to a lower total cost of ownership. Download a free trial version for unlimited use to get hands-on experience with the product’s features and benefits before buying the product.